In February 2013, I started this class at church called School of Ministry. I thought it was basically a Bible study that would teach me things like every book of the Bible and Greek syntax and how to be a Christian speaker. I knew one person in the class, and he was graduating three months after I started. I didn’t care because I wasn’t there to make friends. I was there to be be academic and win the award for most intelligent Jesus follower. A week or two passed and I started quietly talking to people. I had to get involved in ministry as a requirement of the class so I started with children’s ministry because a) there will always be a serious need and b) it was the easiest and most immediate thing. Something funny started to happen: I started learning people’s names. And they knew mine. And on Sunday mornings I recognized more people. And I liked those people. I looked right. I looked left. Surely he meant the other Krista Wilbur in the class? That night, I realized he knew my name. I couldn’t blend in any more. So I made friends. I took risks. I did things that scared me. I quit my job at Ventura College and God brought me to work at the church where I took the class. When I graduated, I started the following week as a Teacher Assistant in the same program. I never would have imagined that I would be sitting in what we called “the holy of holies” 18 months after I decided that I didn’t want to make friends at church. It’s been three years and ten days since I started as a student in that class. Tonight, I watched 18 students graduate. And tonight, I said farewell to my remaining six students as I stepped down from my role as a TA. I’ve known since January that this would be the night I said goodbye, but it came much more quickly than I anticipated. I’ve been looking forward to stepping down so I could start doing a few other things that God has been calling me to do. I had a great time as a student as a TA and I’m so thankful for that time, but I was ready. But a funny thing happened… Tonight was a lot more bittersweet than I anticipated. I’ll miss those familiar faces every week. After three years, it’s weird to imagine that my Tuesday nights won’t be tied to School of Ministry. It’s just a weird transition. It depends on which side of the door you’re facing. This door has been closed. But I’m standing on the other side of a door that is opening. I don’t know exactly what it’s opening to, but surely as I can see it’s opening. I know that God has given me some promises of things to come and I’m holding on to those, and I’m praying for direction and clarity and wisdom in the season that is coming. Some things I wish I knew but I just don’t yet. But I know that my God is faithful. 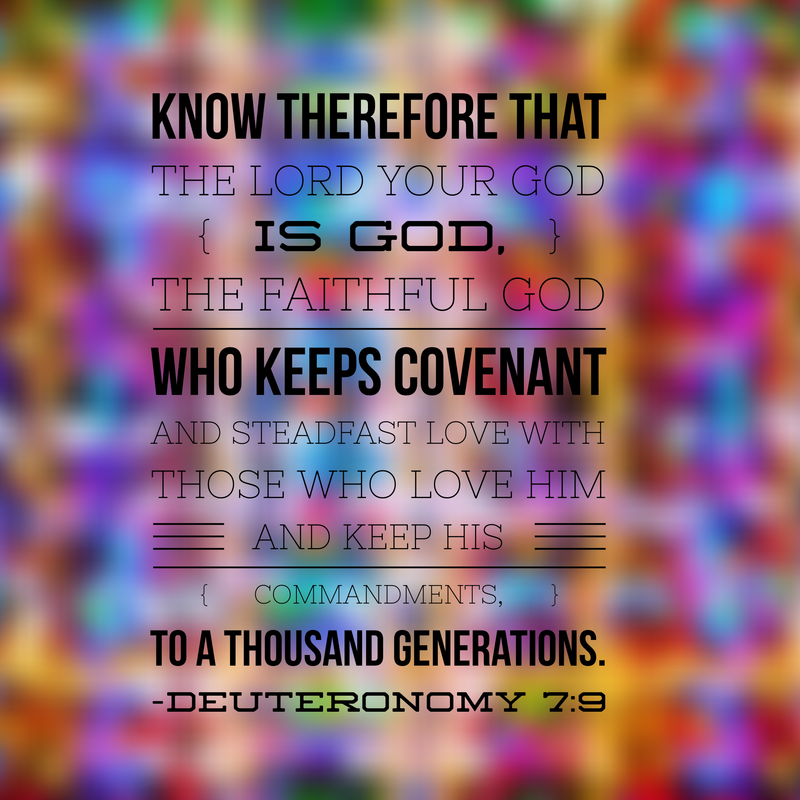 He tells me over and over again in His word: “Know therefore that the Lord your God is God, the faithful God who keeps covenant and steadfast love with those who love him and keep his commandments, to a thousand generations” (Deuteronomy 7:9). So as this door shuts and I stand facing the door that is opening, I trust in this faithfulness. God has never led me astray and that confidence gives me excitement as I look forward, even to the scary and the unknown. I am looking forward to sharing some of what’s coming as it arrives. For now, most of it is something I’m keeping close to my heart because God hasn’t given me the details yet. Yet. Because I know the time will come when He does!